It's another Made It Monday...my favorite day to blog post at that! 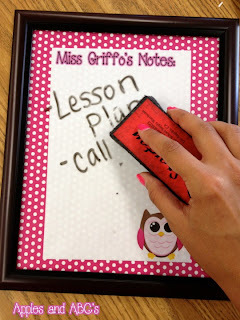 :) I am linking up with 4th Grade Frolics to share what we have been making over the past week. 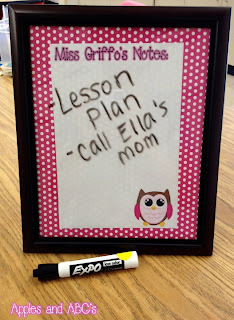 I would like to share a simple way to make a decorative dry erase board for your desk, wall, or any good place that you need to have a spot for notes. I am queen of having post-it notes all over the room, and then trying to find where I put them! 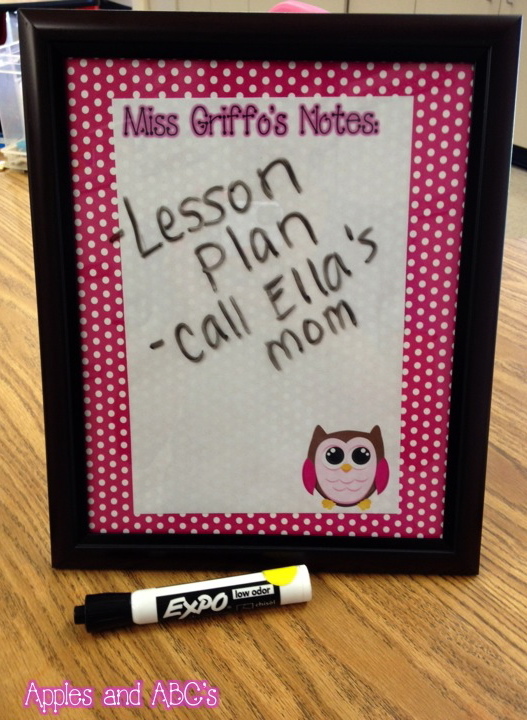 I am going to keep this picture frame on my desk so I can keep quick notes near me while I am working! I found a frame at the Dollar Store (make sure it has glass or plastic that you can write on), some scrapbook paper, and I printed my name with an owl graphic on white paper. 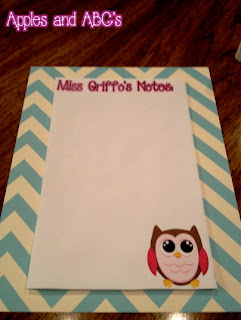 I cut the scrapbook paper the size of the frame, then added a white sheet of paper on top to make sure that I could see my notes. One of my best friends was working at my school with me for the past two years. I love hear dearly, but she got a different job that will allow her to reach some of her goals for this next year ;). I made her one too for her desk so she will think of me daily and remember how much she misses me because I love her and will miss her so much! 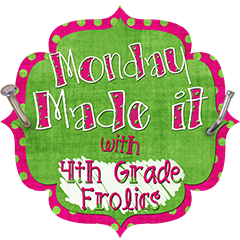 Hop over to 4th Grade Frolics to see all of the other goodies for Made It Monday! Is it possible to get the bee one? 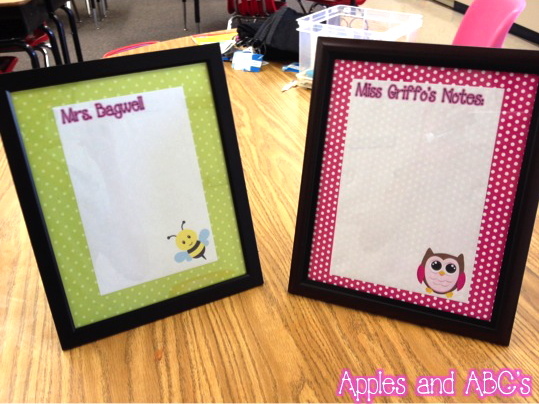 I would love to have one with "Ms. Vaughn"! Lovely Idea! From Mrs. Fernández. You can also add a piece of velcro (top, bottom or side) and attach the other corresponding piece of velcro to your dry erase pen, so it will always be handy! Aww! I got a shout out!! Love you and will miss you dearly!!! !